Anna Hope has won the 2018 Elle readers’ grand prix des lectrices for her second novel, The Ballroom. The Elle Readers’ Grand Prix was founded in 1970 and is chosen by readers. The Ballroom was published in January 2016 and was selected for Richard and Judy’s Autumn promotion. It has been translated into ten languages and the French edition was translated by Elodie Leplat and published by Gallimard. Her forthcoming novel, Expectation, will publish in the UK in Spring 2019. Anna Hope studied English at Oxford, went to RADA then did the MA in creative writing at Birkbeck. Her first novel Wake, was published to acclaim in 2014. Photo. 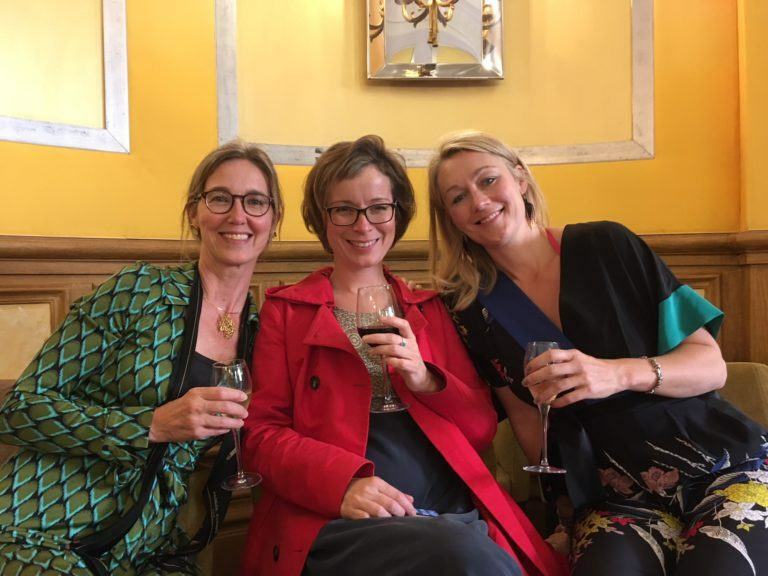 l-r: Anna’s agent Caroline Wood, her French editor Marie-Pierre Gracedieu, Anna Hope.